The annual Waste Management Symposium is the world's largest and most prestigious conference on radioactive waste management & disposal, decommissioning, packaging & transportation, facility siting and site remediation. You can network and connect with over 2, 000 industry specialists and managers from more than 40 countries. 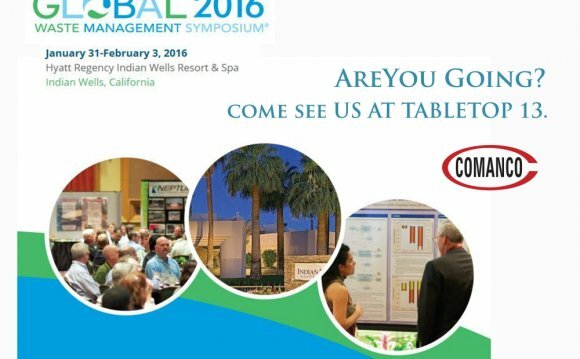 You can learn about trends and developments from the most senior industry managers. You can be informed of the products and services of the world's leading companies in the exhibit hall, including a new program for product demonstration. You can hear about technology development and project accomplishments at over 600 technical presentations and 62 special panels. As the featured country, the UK will be presenting four special panels and several technical papers. In addition, a special UK pavilion will feature 14 leading groups and companies supporting the UK market. The environmental management effort at the US DOE complex will be fully presented. Dr Regalbuto, the DOE Assistant Secretary for Environmental Management will speak. Many of her senior staff will be making presentations at special sessions. As the featured DOE sites, Oak Ridge, Sandia National Laboratories and the Portsmouth/Paducah Project Office will be the topic at several sessions. There are many opportunities to network and interact with your colleagues. Several procurement and contracting sessions will feature upcoming business opportunities that you can learn about. Marian Chertow is an American academic specializing in environmental management. She holds a B.A. from Barnard College, a M.P.P.M from Yale University, and a Ph.D. from Yale University.